Has your dad started getting a bit slack? Is he always late to pick you up and looking at his phone too much? Then you need to get him down to School for Dads right away! And you might learn that he’s really a brilliant dad after all . . .
Father and daughter swap places in this colourful, heartwarming jaunt illustrated by the incredible Ada Grey! 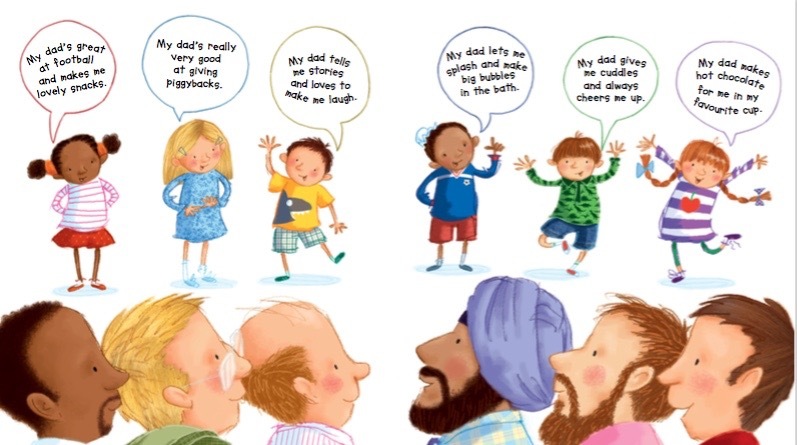 This story is great to read aloud and is a joyous celebration of dads in all their shapes and sizes! 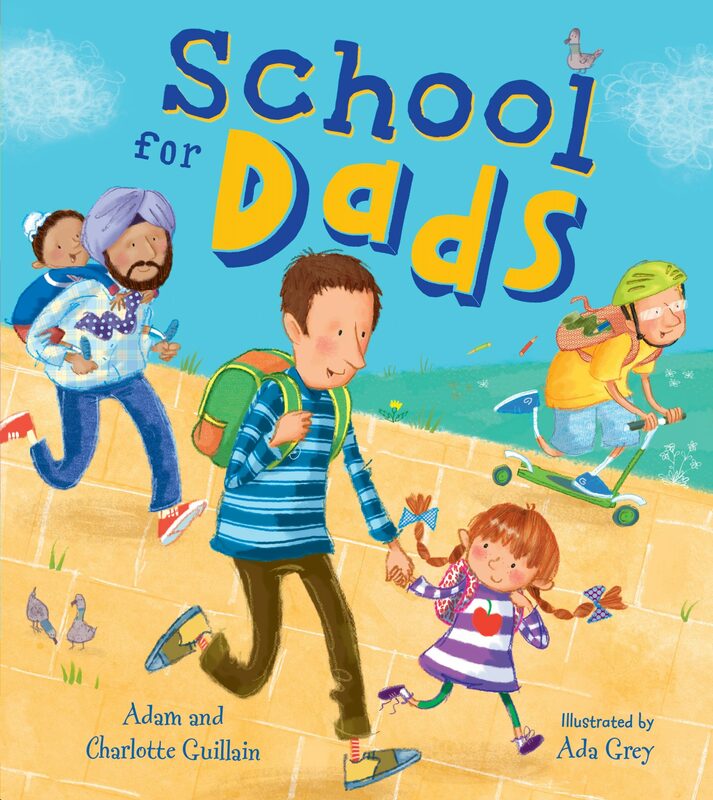 Perfect for boys and girls aged 3 and over, this funny, rhyming school story makes a lovely Father’s Day gift. Celebrate Father’s Day with School for Dads! 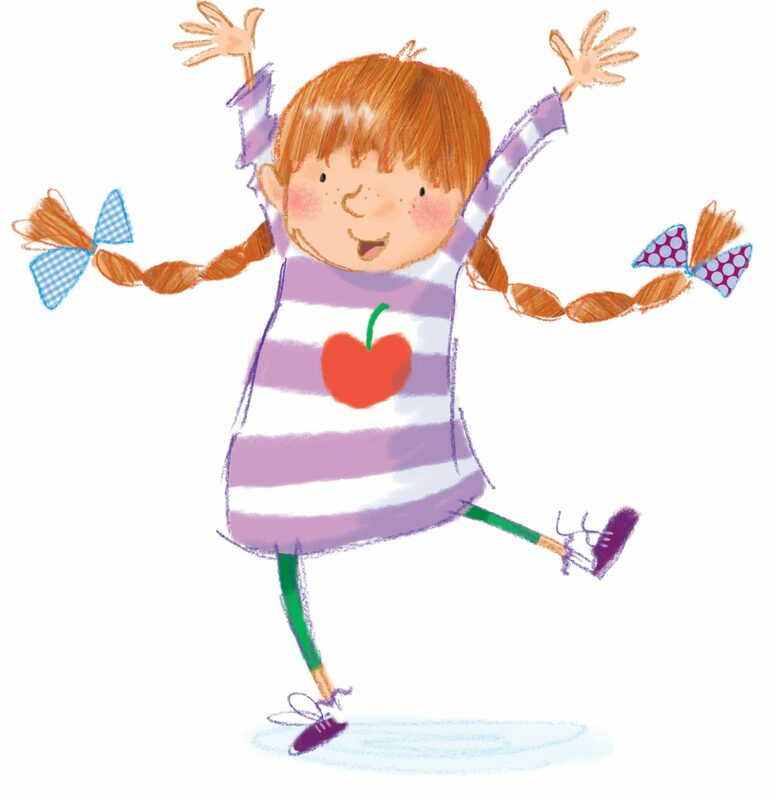 In School for Dads, Anna and her friends stand up and celebrate all the good things their dads do! To celebrate Father’s Day, why don’t you give your dad a sticker and tell him all the things you love about him? 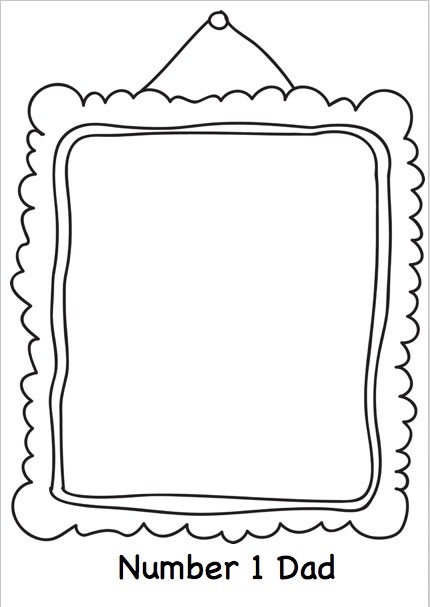 You could draw a picture of him in this special frame too!